A proposed research project at Dalhousie University is looking at using dogs' incredible sense of smell to sniff-out low blood sugar in diabetics. The study under consideration would be in collaboration with the IWK. Compared with humans, dogs have an extraordinary sense of smell. A bloodhound can detect a scent four days old with a nose said to be a million times more sensitive than a human's. 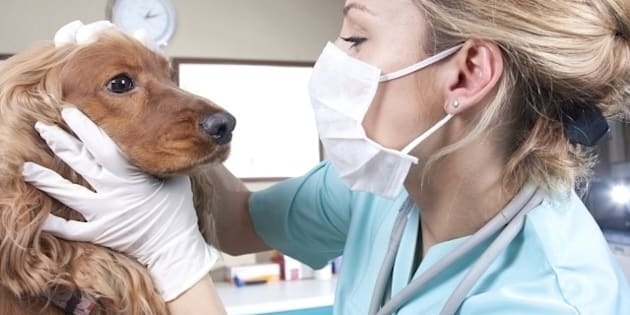 Study's suggest that dogs can detect cancer, in some cases, just by smell. Catharine Floyd, a PhD student, said they can be trained to smell-out low blood sugar as well. "We're going to train the dogs to be able to tell the difference in what breath smells like when someone's blood sugar levels are okay and when they're too low," she said. Floyd said having a blood-sugar sniffing dog on hand could mean a big difference in the lives of parents with diabetic children who, in some cases, have to be disturbed nightly to test blood sugar levels. "The dog would stay on their bed. It would reduce the stress on the parent and the child so if there were an event that needed to be treated, the dog would be able to wake them up," she said. For the dogs, it's all fun and games. Their work is rewarded with treats and praise. For students, incorporating dogs into university studies makes for a unique learning experience. "It doesn't matter what kind of day you're having," said student Meagan MacDonald. "When you come in the lab, the dogs are so excited to see you. It really brightens your day." The project is still waiting for final approval, but if it goes ahead and is successful, dogs may one day become one more tool for dealing with diabetes and making life easier for people with the disease.